What a stunning finish to the first day of E3 2013. The day began with this scenario; Microsoft had a lot to prove, and Sony had a lot to lose. Microsoft stormed the stage at their morning conference, revealing game after game. The vast majority of the titles were AAA blockbusters, and many of them were announced to be exclusive to Microsoft’s Xbox One. The exclusivity of Dead Rising 3 and Respawn Entertainment’s Titanfall, among others, were surprising and painful to Playstation hopefuls as they were assumed to be multiplatform games. But nothing could prepare Playstation fans for Ted Price’s appearance on stage, where he announced that Insomniac, the beloved Playstation developer of Spyro, Ratchet and Clank, and Resistance, would be publishing their next game exclusively on the Xbox One. Microsoft’s strategy, it seems, was to give gamers no choice but to deal with their ludicrous console restirctions to get the games that they want- and they used their deep pockets to sway publishers to help them accomplish this goal. Things looked bleak for Sony; at this point, we had no knowledge of Sony’s stance on DRM, used games, etc. Only fear for the worst. Sony took the stage later that evening, and quickly ran through their Vita and stellar PS3 lineups for the year, showing off big titles like Killzone: Mercenary, Tearaway, The Last of Us, Puppeteer, and Beyond: Two Souls from their first party studios. It was apparent that their goal was to get to the Playstation 4 as quickly as possible; and they did. Unfortunately, they led with their initiatives for the “other” media functions of the console, much to the disappointment of the crowd and viewers. But even this was short-lived. Sony wanted to make the Playstation 4 and its games the center of attention, so they got everything else out of the way first and fast. After the reveal of the console itself, Sony launched into their own barrage of games. The majority of their major first-party games for the PS4 were revealed back in February, so we were treated to new trailers for Killzone: Shadow Fall, inFAMOUS: Second Son, Drive Club, etc. These trailers were abbreviated, but made the statement that they needed to make; Playstation magic is alive and well on PS4. Some of Sony’s bigger guns were a bit quiet- Naughty Dog and Media Molecule were content with their PS3 and Vita showings for now. The biggest first party reveal for Sony was Ready At Dawn’s new game, The Order: 1886. Ready at Dawn has been playing backseat driver to Sony Santa Monica, crafting the stellar God of War spin-off games for the PSP. It’s high time that they step into the spotlight with their talents, and what better way than with a brand new IP for PS4? Check it out below. Third-party developers came out swinging for the PS4 as well, with gameplay reveals for Ubisoft’s Watch Dogs and Assassin’s Creed 4, Blackgate’s Batman: Arkham Origins, Bethesda’s Elder Scrolls Online, 2K Sports’ NBA2K14, and Eidos’ Thief. There was even a PS3 Bundle with GTA5 shown, and GTA5-branded Sony headphones! Closing with Destiny in particular was worthy of note, as Bungie was once exclusive to Microsoft; a little payback for Microsoft opening with Metal Gear Solid 5. Unfortunately for Sony, while many of these games bared the promise of exclusive content for PS4 owners, very few non-first-party games shown were completely exclusive to PS4. It seems that Sony chose to invest their money elsewhere; more on that later. The biggest software reveals of the show came from Square-Enix, whose presence at the initial PS4 was awkward and forced at best. First, the return and rebranding of Versus XIII as Final Fantasy XV stunned the crowd with its very complete and exciting trailer. This was followed by the knockout; Kingdom Hearts 3 is officially in development. Both of these titles are presumed to be exclusive to PS4; Versus always was, and Kingdom Hearts numbered entries have been so far. Up to this point, everything was ‘good enough’ to call the show a success- but Sony is looking to cement itself as the one to beat. They proved this fact by basically doing the opposite of everything that Microsoft has done wrong so far. They were completely unabashed and blunt about revealing that the PS4 features no restrictions on used games (see the ‘instructional video’ below). Any game that you buy is yours to do what you please with; sell it, trade it, burn it, keep it. The console also does not feature any sort of always-online connectivity or verification DRM. The console will not cease to function if you do not have an internet connection for more than 24 hours. As Jack Tretton attempted to share this news, the crowd erupted in cheers, and the internet exploded. It was almost assured that Sony would follow Microsoft’s lead to please the publishers, but, as they explained, the customer is the most important party. They do not aim to violate the trust or rights of their customers by creating a restrictive console. Sony also announced that, unlike the Xbox One, indie developers would be able to self-publish on Playstation network, and proved it by putting nearly a dozen indies on stage to show off their games, including Bastion creators Supergiant Games. Later, it was also revealed that the console would be region-free. They want to create an open ecosystem for all parties involved. Golden. SCE’s President demonstrates how to share used games. We’d be remiss if we didn’t mention the one bit of bad news in all of this. 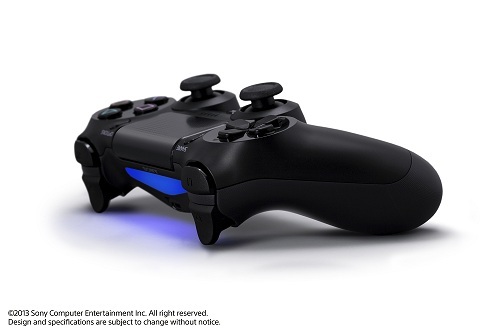 The day has come; Playstation 4 will require a paid subscription to play online, just like Xbox Live. All other content will be accessible, including the Playstation Store, media like Netflix, etc. without the subscription. It is purely for online multiplayer functionality. But there’s a silver lining here; that subscription and Playstation Plus happen to be one in the same. All subscribers will have access to the instant game collection, automatic downloads, cloud saves, etc. 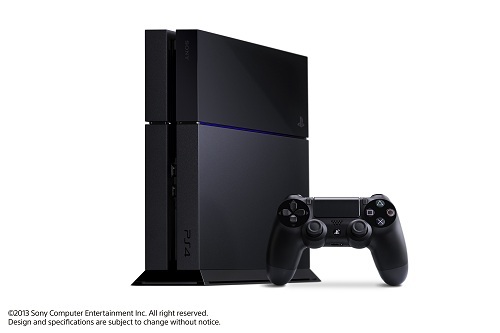 for all three systems, plus online play for the Playstation 4. All of this can be had for the same, low price of $50 annually. It is a shame that the once-free service is now paid, but Sony couldn’t have sugar-coated it any more than they did. Playstation Plus is an incredible deal and service, and we’d imagine that many new subscribers will fall in love with it, just as we did. Finally the price. Everything sounded way to good to be true for the system to undercut Microsoft’s $499 price point on top of it all. But remember, as we said before, Sony didn’t seem to be lining the pockets of the publishers to obtain exclusives. They almost surely used those savings to launch the Playstation 4 at a price of only $399- a full Benjamin under the Xbox One. Given that the specs are so similar, it’s almost assured that Sony is taking a huge loss on this when they said they wouldn’t. From the games to the policies to the price, Sony showed a clear loyalty to their fans and consumers, and a strong desire to reclaim the market share that they lost to Microsoft last generation. We can’t wait to see what the future has in store for the Playstation 4. That’s certainly a possibility, though it’s worth noting that the camera will only retail at $60, so that’s still undercutting but $40. And it’s quite possible that the PS4 is more expensive to manufacture. We won’t really know until we get the systems and crack them open to see what’s actually in there. It will be interesting to see if Microsoft’s gamble of completely screwing over consumers and expecting them to still buy their console because of the name pays off for them. I’m hoping not. In my opinion I just think that the Xbox one will fail, but in that way of everyone buying one and then not liking it.